What's on the web blogs I love including my sister's website Belly Itch! I'm rockin' red nail now and instead of reinventing the wheel check out her post! 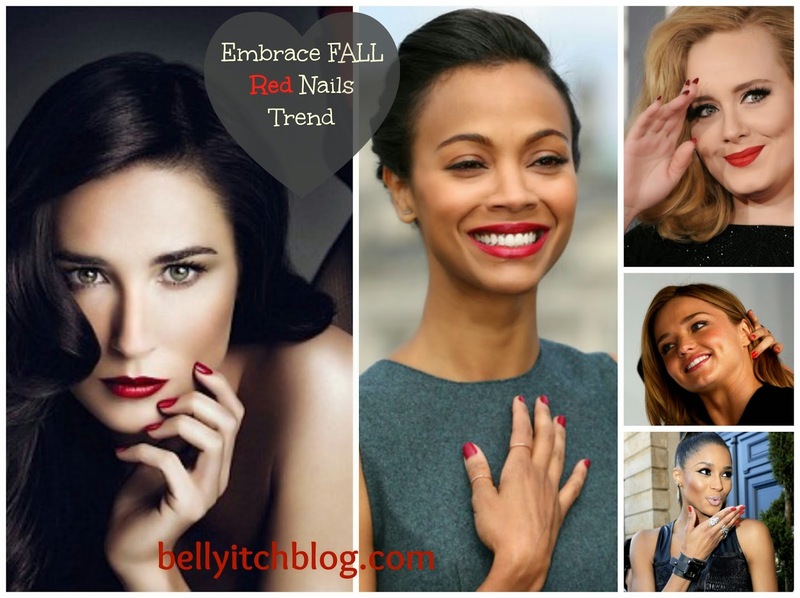 "This fall, in addition to red lips, red nails are also trending. We spotted red nails on some of our Bellyitch Bumpwatch alums: Demi Moore, Gwen Stefanie, Adele, Miranda Kerr, Ciara and mom-to-be Zoe Saldana." Would you be so bold to wear red nails this fall? A Lifestyle Blog Featuring The Hottest Celebrities, Socialites, Music, Entertainment, Fashion Trends, Beauty Product Reviews, Events & More. I talk about what I find around the web and my personal thoughts about it!